We should talk through issues. Maybe I am missing the mark but my understanding is that the reason for changing names is to make an organization or organizations more inclusive more inviting. I arrived at my political maturity at the height of Chicano nationalism and while I worked mostly with Mexican American organizations I never felt that I was not interacting with other groups.Diverse experiences are not found only through Chicana/o or Latino organizations. I guess because I liked food I was always attracted to other cultures. I found that most of the people I worked with professionally were white, Black and Asian. Few were Mexican. At the time there were only 3 million Mexican Americans in the US. But like today it was not difficult to get involved with other groups there were plenty of them as there are today. I encourage my students to get involved in Los Angeles’ trade union movement. Go to Black Lives Matter actions. I don’t know if it has changed but at the time it was hands off Cuba and the Vietnam War. I went to functions of the CDC (California Democratic Council), the Quakers and was always being recruited by a left group. Went to several study groups. Every place I would turn I would see Pierre Mandel. Quite frankly I did not want to talk to most whites only the political ones, I had gone to school with them and was always a minority. Leftist were like family you could fight with them. I have continued working with Chicanos and Central Americans because I want to and believe that our issues should be addressed. Like Dr. Ernesto Galarza used to say, the Democratic Party loves Mexicans but we are always number 9 on the list and they never get down to Number 9.Being part of a Mexican or Latino organization is to remind people of the issues that inflict No. 9. Everyone has criticisms. My criticism of Mecha today is that it is too social and not political enough. The competition from fraternities and sororities has moved it to the right. Getting old so I don’t get out much but I remember groups such as the Workman’s Circle who I did not always agree with and criticized but I enjoyed listening to the war stories. Diversity comes from participation not sitting at a student meeting. 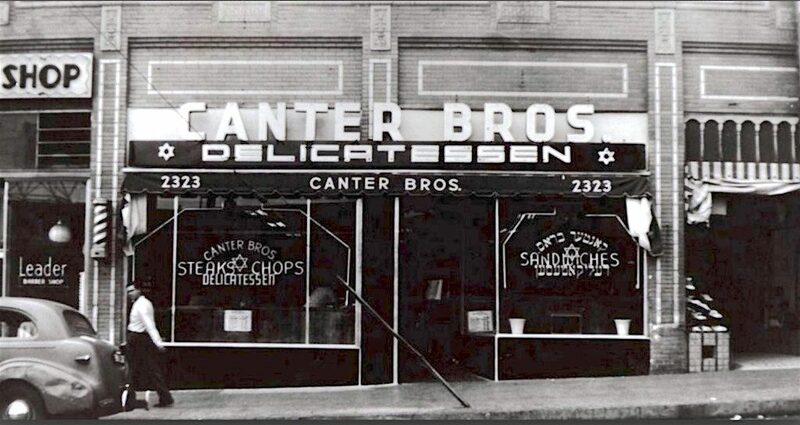 Anyway it was always a good excuse to go to Canter’s on Fairfax when I was a kid it was on Brooklyn and Soto. This entry was posted in Articles on April 7, 2019 by Rudy Acuna.